The 'Churching' is the Blessing of a Mother after Childbirth. 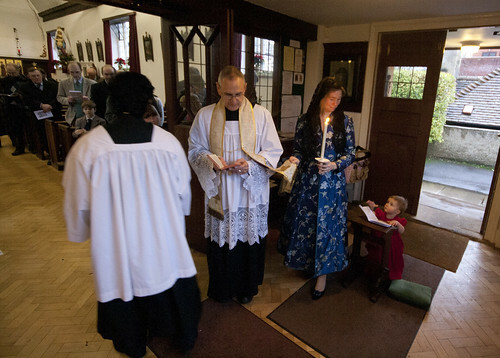 After some prayers she is led into the church by the priest's stole, holding a lighted candle. 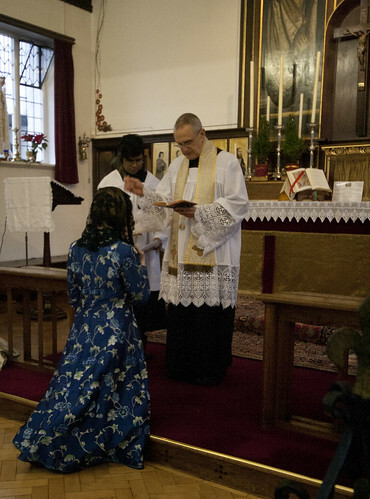 At the Altar rails she is blessed with holy water. 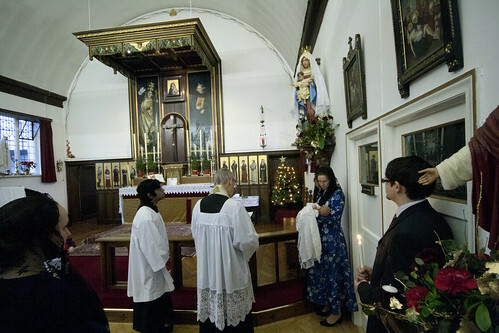 Again, the Baptism ceremony starts by the door: the baby has to be led inside. 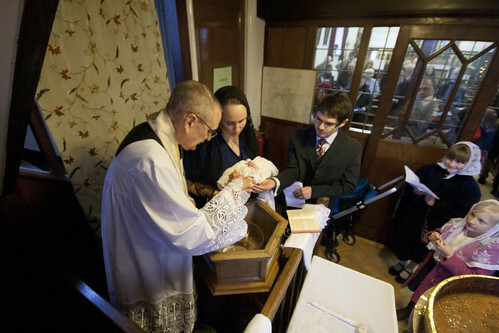 He is held by the Godmother, not the mother; the Godparents make the responses for the baby. 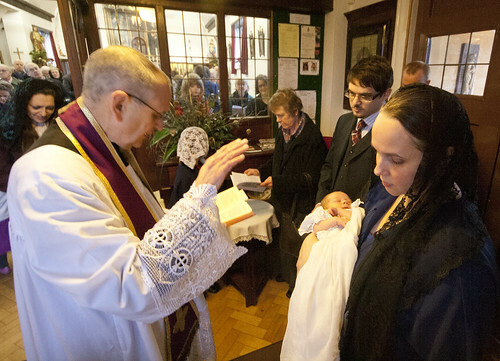 Before the baptism proper there are various ceremonies, including breathing on the candidate, symbolising the coming of the Holy Ghost. 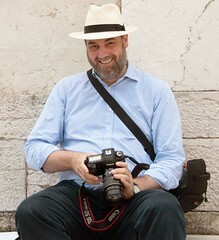 This is one of the exorcisms. 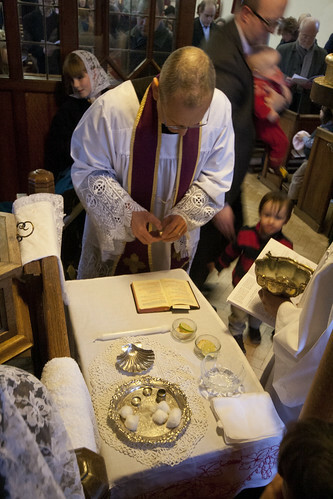 The ceremonies include annointings with two kinds of oil; the priest has the traditional lemon and bread to cleanse his finders after each one. The candidate gets a lighted candle and a white linen garment. 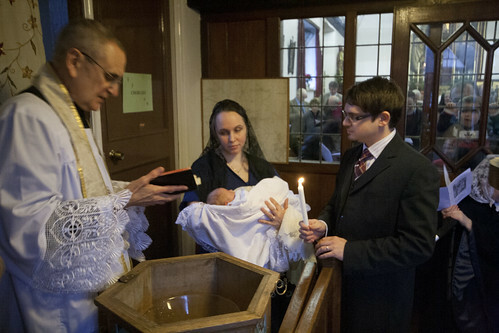 Finally, a paraliturgical ceremony of presenting the newly baptised baby to Our Lady. The little side Altar is occupied by the Nativity Scene, so the mother took the baby to the statue of Our Lady.